Many caregivers in Asia can agree, it’s super hard to find resources and in some countries, it’s hard even to know where to start. When we go online there are so many websites and resources, it’s hard to even know where to start. It’s hard especially when a lot of information tends to be advertisements for private organisations promoting their services. When this post from Monica Cations post popped up on twitter, it was like, wow, what a great idea! New research shows that a comprehensive, coordinated care program for people with dementia and their caregivers significantly decreased the likelihood that the individuals would enter a nursing home. The study also shows that the program saved Medicare money and was cost-neutral after accounting for program costs. The research, conducted at the UCLA Alzheimer’s and Dementia Care Program, was designed to evaluate the costs of administering the program, as well as the health care services used by program participants, including hospitalizations, emergency room visits, hospital readmissions and long-term nursing home placement. 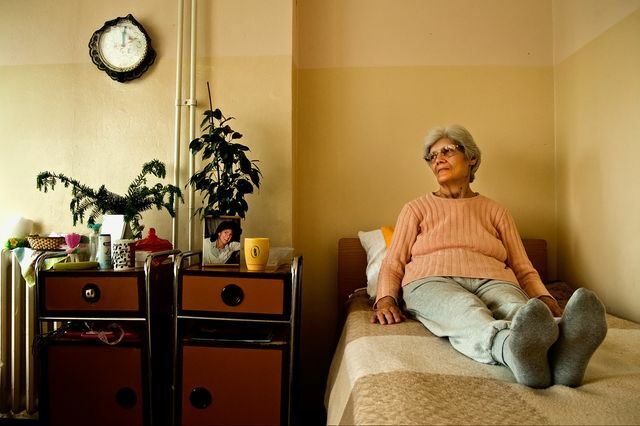 “The findings of this study show that a health care system-based comprehensive dementia care program can keep persons with dementia in their homes and in the community without any additional cost to Medicare,” said the study’s senior author, Dr. David Reuben, Archstone Professor of Medicine and chief of the UCLA Division of Geriatrics at the David Geffen School of Medicine at UCLA. The study was published Dec. 21 in JAMA Internal Medicine. The research focused on the UCLA Alzheimer’s and Dementia Care Program. In the program, people with dementia and their caregivers meet with a nurse practitioner specializing in dementia care for a 90-minute in-person assessment and then receive a personalized dementia care plan that addresses the medical, mental health and social needs of both people. The nurse practitioners work collaboratively with the patient’s primary care provider and specialist physicians to implement the care plan, including adjustments as needs change over time. A total of 1,083 Medicare beneficiaries with dementia were enrolled in the program and were followed for three years. The study compared them to a similar group of patients living in the same ZIP codes who did not participate in the program. “The most striking finding was that patients enrolled in the program reduced their risk of entering a nursing home by about 40 percent,” said lead author Dr. Lee Jennings, assistant professor at the University of Oklahoma College of Medicine. Jennings began the project while on faculty at the Geffen School and finished it after arriving at Oklahoma. There were no differences between the two study groups in hospitalizations, emergency room visits or hospital readmissions. However, cost was another important element of the study. Participants in the program saved Medicare $601 per patient, per quarter, for a total of $2,404 a year. However, after program costs were factored in, the program was cost-neutral and might result in savings in other settings, such as at other health care systems. That was good news to the study’s authors. The intervention featured in the study addresses those issues directly. The assessment looks not only at what the patient and caregiver need, but also at their strengths, such as financial security, family assistance and proximity to community resources. It is designed to be interdisciplinary and to address the needs of both patients and caregivers.